In stock ready for immediate shipping.... Hurry last one! 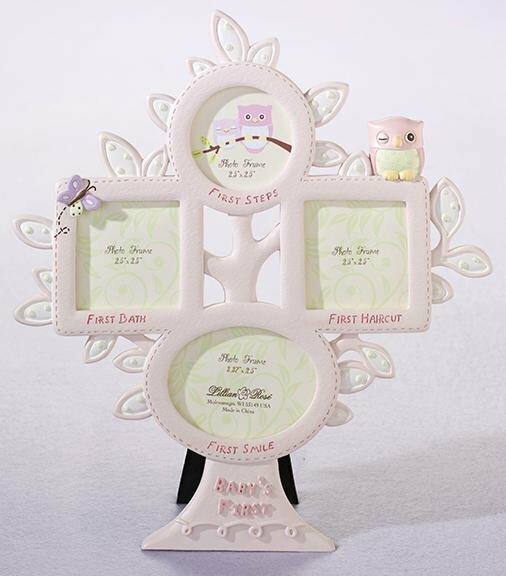 The little pink owl picture frame is a wonderful milestone memorabilia holder. A beautiful baby shower gift. Capture the first smile, the first bath, the first step and the first haircut. Frame holds three 2.5" x 2.5" and one 2.5" x 3.37" photo. Also available in a blue owl version.